PITCH@PALACE 8.0 SUCCESS FOR QUIT GENIUS! Wayra UK start-up Quit Genius has conquered all-comers in the high-profile Pitch@Palace 8.0 competition by winning the People’s Choice Award! Quit Genius is the world’s first cognitive behavioural therapy (CBT)-assisted app to help smokers trying to quit, and is also part of Wayra’s Velocity Health programme run in conjunction with MSD UK. 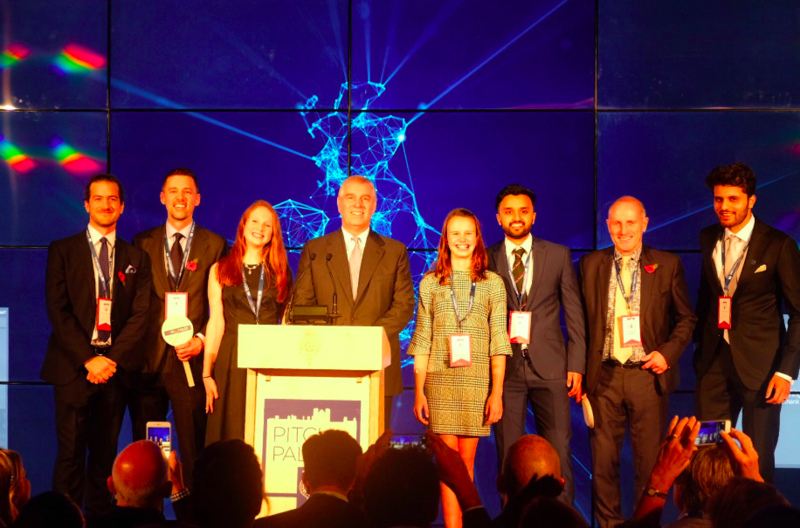 After winning the Pitch@Palace regionals and getting through boot camp, the team triumphed in a competitive final round and took home the coveted People’s Choice prize which is voted for by members of the public and audience. The influential audience was made up of leading figures from the worlds of entrepreneurship, technology, media and investment. Maroof Ahmed, Co-founder of Quit Genius, said: “We’re thrilled to win the People’s Choice Award at the prestigious Pitch@Palace final. We would like to also thank Wayra for their support! Since it was launched in 2014, Pitch@Palace – an initiative led by HRH The Duke of York to encourage start-ups across the UK – has supported over 400 companies. Alumni include Yoyo Wallet, a start-up that was accelerated through the Wayra UK programme and recently raised $12m in Series B funding.